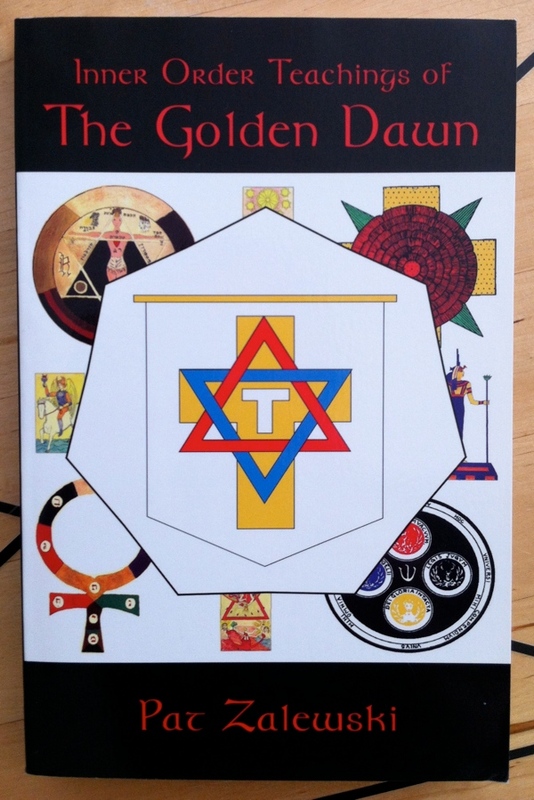 Inner Order Teachings of the Golden Dawn by Pat Zalewski, with an introduction by Nick Farrell, the 2006 softcover from Thoth Publications, is part of the collection at the Reading Room. For more than 100 years, secret magical manuscripts from the Order of the Golden Dawn’s inner order of adepts (the Ordo Rosae Rubae et Aurae Crucis) have been unseen by most students of the esoteric. This includes the Golden Dawn alchemical teachings, secret teachings of the Zelator Grade and the important Caduceus paper. These have either been gathering dust on some collector’s shelves, or have been worked by those who have continued the Order’s work. So secret were these documents, Israel Regardie was unaware of them and subsequently many of the modern orders of the Hermetic Order of the Golden Dawn who were dependent on his encyclopaedic text The Golden Dawn for their teachings have left out much of this work. However, the papers contained in this book provide the much needed keys to understand the Golden Dawn system in its entirety. Just as the Golden Dawn was not simply dependent upon intellectual information gathered under one heading but also on oral instruction to make the system come alive, so this material came with extensive traditions that make it useful to the student. This entry was posted in Hermetic Library Reading Room, The Golden Dawn Library Project and tagged 2006, alchemical, books, caduceus, hermetic order of the golden dawn, inner order, israel regardie, Keys, manuscripts, nick farrell, Ordo Rosae Rubae et Aurae Crucis, Pat Zalewski, Reading Room, secrets, Thoth Publications, understanding, Zelator on October 9, 2013 by John Griogair Bell.